Many homeowners believe that water damage is only something they should worry about during the winter and early spring; however, water damage can also occur during the hot summer months. A flooded home or water leak during the summer isn’t a fun experience, but there is a way to reduce the risk of it happening to you. Here are some helpful tips on how to prevent water damage in your home. Clogged roof gutters and downspouts can cause water damage to your home even during the summer. If these areas are clogged, water can pool on your roof and lead to leaks. By removing the debris from these areas, rain can trickle down into a safe spot away from your home and prevent water damage. Be sure your downspouts discharge rain water at least 10 feet away from your home to prevent basement flooding. These should be checked regularly, during each season, to reduce the risk of water damage. Before going on summer vacation, test your sump pumps to make sure the groundwater will be kept out of your basement. You can test it by filling it up with a bucket of water and seeing if it pumps the water out properly. Water leaks can happen anywhere in your home, and unless you fix the problem, no matter how small, you will only increase the risk of more severe damage. This is why you should check your roof, foundation, windows, pipes, plumbing fixtures, and appliances before you go on vacation to make sure there are no leaks. This water can spread and get absorbed into the surrounding building materials and cause serious problems. Checking and fixing these leaks before you leave for your trip can help you protect your home. Sometimes a leak can occur in an unseen area of your home, and until the damage becomes visible, you may be unaware there is a problem. A good way to find out if there are hidden leaks in your home is to check your water bills. If you notice it is higher than normal in a particular month when you haven’t had extra visitors, or power washed your car, there could be a leak hidden somewhere in your home. Severe toilet damage can cause upwards of $5,000 so unless you’re planning on including that in your vacation budget, check for clogged toilets before you head to the beach or cottage. Flush the toilet once and wait for it to refill, if the water seems to be struggling to go down, and takes a long time to refill, you may have an issue. If your toilet is clogged, pump it yourself to see if you can clear any material, and if there is still an issue, a summer water damage restoration company near you can help you assess the situation and find a solution. 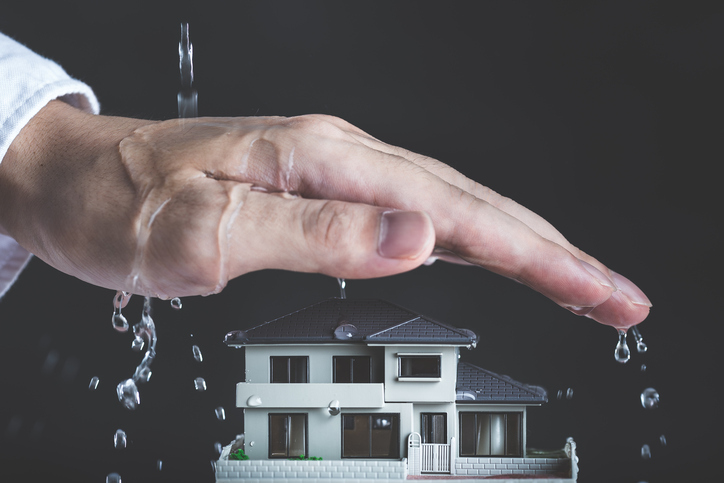 Summer is usually the time of year to go on a vacation, take a cruise, or spend a few weeks at the cottage, but this is often the time when water damage can happen to you. Before you leave for your trip, make sure you turn off your water main. This will prevent water pressure from building up in your pipes. This will remove the chance of a leak as these problems normally happen when there is a stoppage in the pipes. Problems can also occur if you have a clogged pipe or drain, which can also cause pressure to build up and damage a weak area in your system. One of the simplest ways to prevent your home from water damage is asking a relative or close friend to check on your home every so often while you are away. You should be able to leave for a week or two without any problems, but if you’re away for a month or more, it’s a good idea to have someone check. Make sure you give your friend information of your insurance company in case something does go wrong. Preventing water damage in your home doesn’t have to be complicated. Doing a quick check around your home is a small sacrifice to ensuring your home doesn’t flood while you are away. Doing a check can alert you of an issue so you can get professional water damage repair and cleanup if you need it. If you notice a problem and need help from the pros, Flood Services Canada provides trustworthy and effective water damage restoration services in Toronto. Our professionals can save you from future damage to your home caused by damage you cannot see, and we can help you settle with your insurance company. We deploy our quick-response teams across Toronto, Oakville, Ajax, Whitby, Georgina, Barrie, Mississauga, and Lakeshore to help our customers when they find themselves in a tough situation. We’re ready to provide 24/7 sewage, water damage, and flood cleanup services and will use the best techniques, personnel, and technology to ensure your home or business is clean, safe, and dry as soon as possible. Contact us at (416) 302-2107 to learn more about our water damage cleanup services or use our emergency hotline at (416) 999-3930 to get our rapid-response teams deployed to your location.